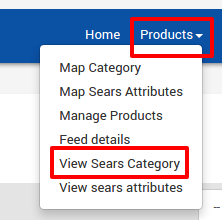 On this page, all the Sears categories are listed with the Category Ids and the respective titles. Scroll down to the required category row. 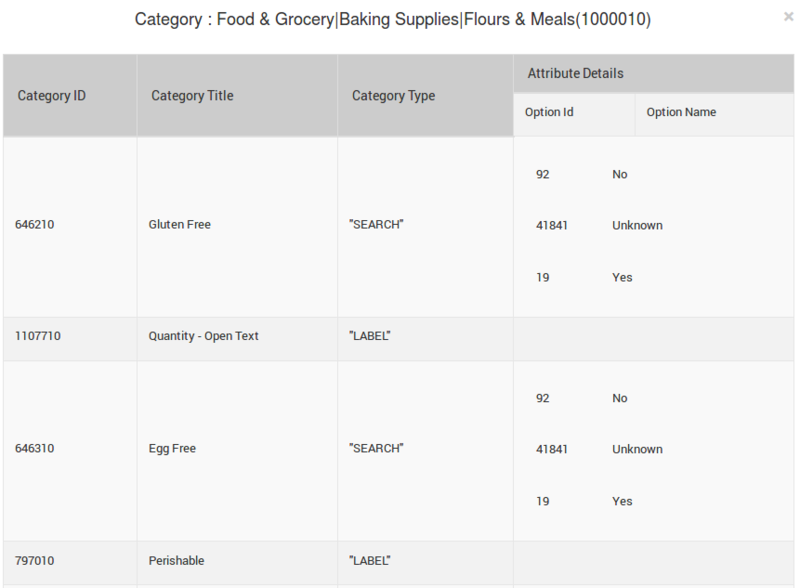 In the REQUIRED ATTRIBUTES column of the respective category row, click the View Details button. If the Required attributes are available then they are listed here, else the message appears as shown in the figure. Click the Close button to close this page and return back to the Sears Categories page. In the OPTIONAL ATTRIBUTES column of the respective category row, click the View Details button. If the Optional attributes are available then they are listed here, else the message of non-availability of the optional attributes appears.